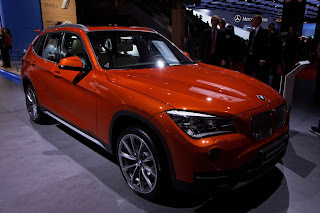 The BMW X1 is a compact luxury crossover SUV developed by BMW, and manufactured by BMW and BMW Brilliance, and marketed worldwide in rear-wheel (sDrive) and all-wheel-drive (xDrive) configurations. Production followed the debut of a concept version at the 2008Paris Motor Show. 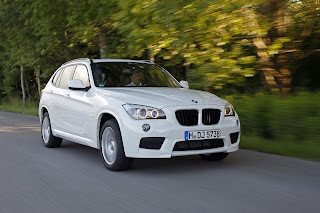 with series manufacture beginning at the BMW Leipzig plant in October 2009 — followed by production in Chennai, India(from knock-down kits (CKD)), Shenyang, China, (by BMW-Brilliance Automotive Ltd) and Kaliningrad, Russia (CKD,with local partner Avtotor). 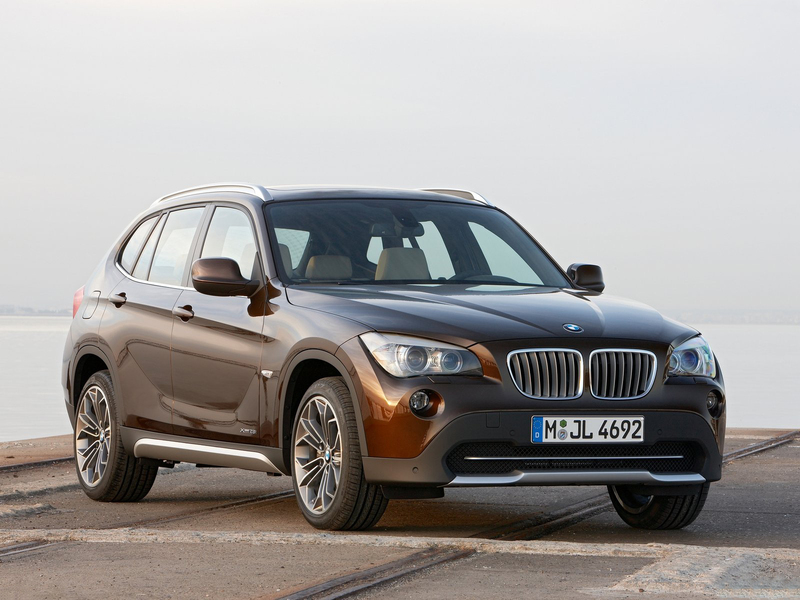 The X1 introduced BMW's N20 engine in its xDrive28i model. The X1 is slightly smaller and more affordable than the X3. 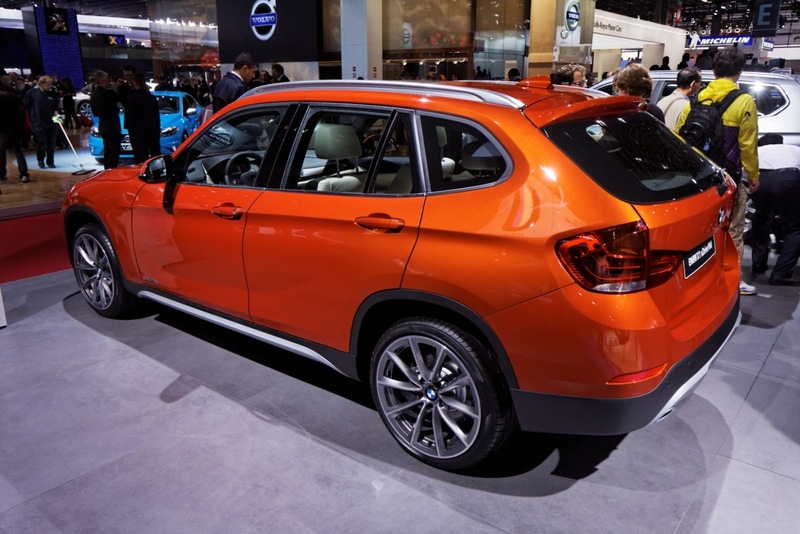 In North America, the X1 is BMW's smallest SUV offering, and has a low starting MSRP of $30,800. The X1 is also BMW's first SUV to offer rear-wheel drive (RWD) as an option (only on the sDrive28i model). 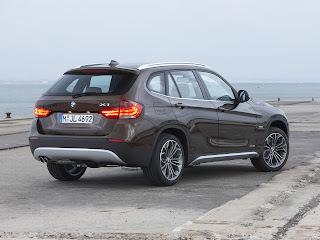 The sDrive28i and xDrive28i models will offer a 2.0L, 241 horsepower turbocharged inline four-cylinder (I4) engine, and the xDrive35i model will offer a 3.0L, 300 horsepower single turbocharged inline six-cylinder (I6) engine. Four different lines will be available: the ES/SE Line, the Sport Line, the Luxury Line, and the xLine. The lines offer unique trim differences to differentiate each one from another. An eight-speed sport automatic transmission will be available on North American models. The interior will be similar to that of the current BMW 1 Series Coupe, also offered in North America. 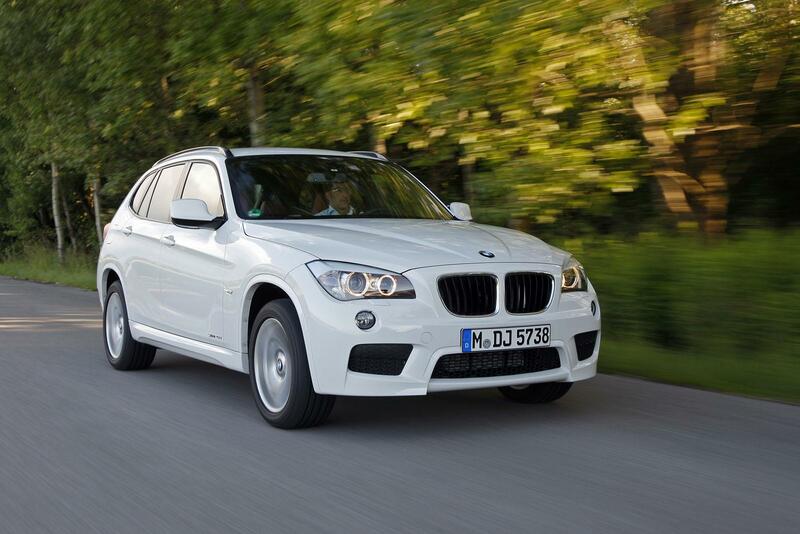 The vehicle was unveiled in International Frankfurt Motor Show (IAA 2011). It is a version with reduced engine power. The vehicle was unveiled in 21st Auto Mobil International Leipzig 2012. The X1 offers a 420 litre cargo volume, which can increase up to 1350 litres of storage space with the seats folded. For comparison, the 3-Series Touring (E91) has 460 and the X3 (E83) has 480 litres. The backrest in the rear is adjustable in 11 steps and can be divided in the ratio 40:20:40. The vehicle offers adaptive cruise control, seating positions with modestly raised H-point seating (marketed as Semi Command Sitting position) and Performance Control. 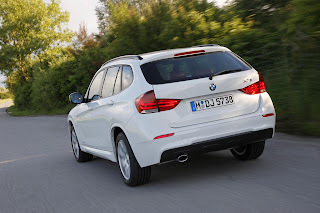 All sDrive models are rear-wheel drive, while xDrive models are all-wheel drive. The Indian market is currently getting the sdrive18i (4 cyl petrol), sdrive20d and sdrive20d (highline) (4 cyl diesels). The three variants have an 8-speed automatic transmission. No manual transmission option is available now. 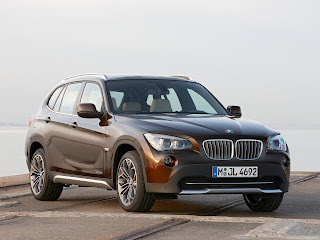 The USA market gets the BMW N20B20 2.0-liter turbo inline-4, in RWD sDrive and AWD xDrive configurations, as well as the BMW N55B30 TwinPower turbo inline-6 from the X3 xDrive35i. Last updated on 15 August 2013 at 23:59.